Welcome to the largest camping event in the world! 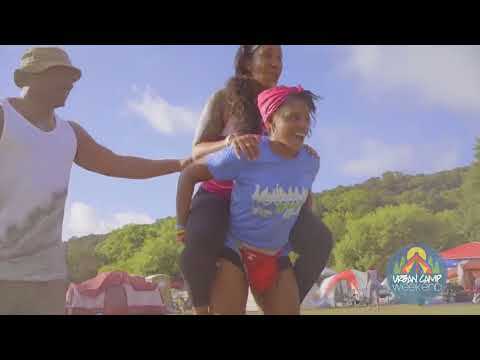 Whether you’re looking to relax, network, make new friends or just mingle with other like-minded professionals, Urban Camp Weekend is for you. Click below for summer 2019 meal plan. 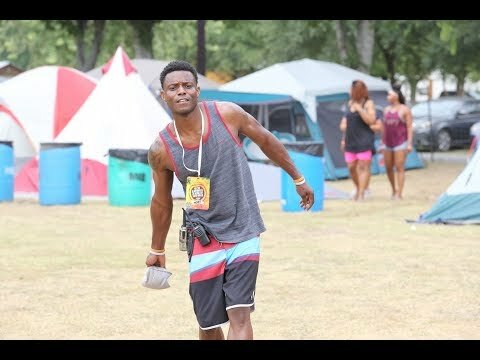 Picture you and your friends at a house party or BBQ…now add a tent, floating the river, some games, food, sand volleyball, games, a DJ, surprise events, additional outdoor recreational activities, AN OPEN BAR and you have now successfully envisioned the best camping experience yet. Early sign-up and arrival is strongly encouraged… Due to capacity limitations, the price will increase periodically, so we recommend paying early. Enjoy, and we look forward to seeing everyone in June and October!!! – 7:30 am – All tickets must be purchased online; no payments accepted at camp or at registration. – 9:30 pm – 10:30 pm – Karaoke on the big screen! 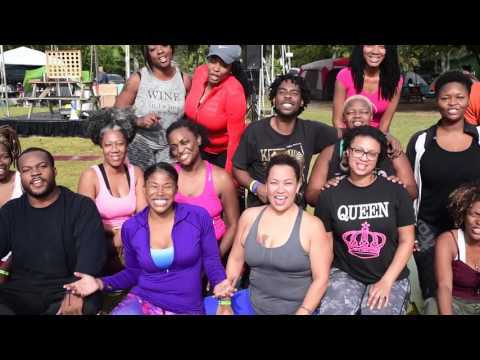 – 9:00 am – 10:00 am – FLRSH FITNESS Boot Camp. We are not only changing our bodies but changing our lifestyles as well. Come get fit! – 10:30 am – 11:30 am – Morning Flow Yoga – Share a relaxing and gentle Yoga flow with fellow campers. Beginners are encouraged! – 8:00 am – 9:00 am – Chill for a little bit… and pack up when you’re ready. New to camping? No worries… so is everyone else (who really camps?). This event is for mature adults (no kids or pets). We have couples, single people, newly divorced people, people that don’t want their pictures taken, etc. ; come one come all! Yes. During the checkout section, select the “Partial.ly” payment option. This option will allow you to choose your deposit and flexible payment plan. Click HERE to download our app to stay up to date on all things specific to this event! Can I purchase a ticket on site? Tickets can only be purchased ahead of the event. The event sells out in advance, so please do not show up expecting to buy a ticket on site (you will be turned around). In addition, guests without the appropriate wristbands will be escorted off the campground, and not allowed to re-enter. No, your name will be on the list electronically/automatically. No tickets, shirts, or parking passes will be mailed. Can I rent an RV or 5th Wheel? Floating the river & Tubes? For summer camp, we float the Comal River with transportation leaving from camp. Separate charges apply. For fall camp, tubing the river depends on the weather, etc. Texas weather is tricky! You are allowed to bring your own tube (inflated or deflated) or rent a tube. Your tube can be inflated at the location. Renting or bringing your own tube will cost the same amount. Are there refunds? How do transfers work? There are no refunds. Tickets are transferable to other people, other Urban Camp Weekend events, or Urban Excursion Weekend events. Transfers and name changes are $25 per transfer before the deadline (20 days before the event) and $45 after. If you purchase/sell a ticket, it’s your responsibility to make sure the $25 (or $45) fee has been paid, and the ticket is actually transferable. RV’s, Cabins, previously transferred and/or discounted tickets are non-transferable to other events or people. If you originally bought a transferred ticket, early bird ticket, special promo ticket, or won a free ticket, it is non-refundable or transferable to another event or person. If your original ticket was less than $75, it’s non-transferable. ALL TRANSFERS FOR URBAN CAMP WEEKEND 2018 MUST BE COMPLETED BY END OF DAY (6 DAYS BEFORE THE EVENT / OCTOBER 20TH, 2018.) All transfers are done and confirmed in writing via email to info@urbaneventsglobal.com. 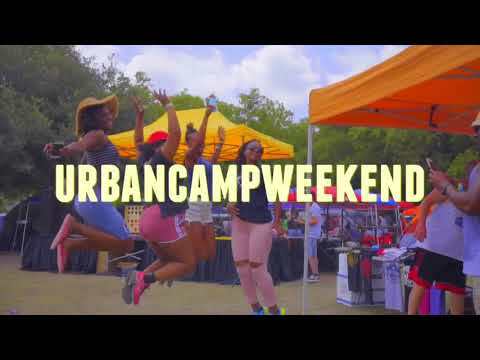 Log in to your PayPal account, send the transfer fee to info@urbancampweekend.com, and note in the comment section “Transfer ticket to ________(first and last name of the attendee)”. 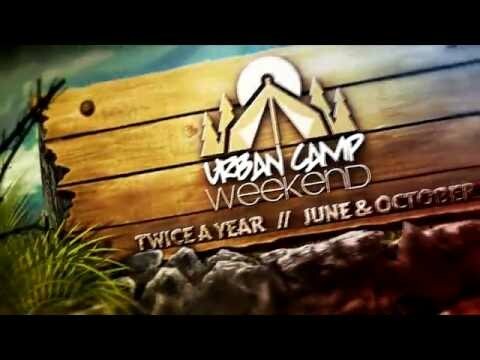 You are no longer attending Urban Camp Weekend. The transfer fee was paid via PayPal. Include the first and last name of the new ticket holder. Carbon copy (cc) the new ticket holder on the email. All campers are required to check in at registration upon arrival to Mountain Breeze. Please bring a copy of the transfer ticket email to ensure the correct names are reflected in the system. Where do I set-up my tent (where is my cabin)? Tents are set up on a first come first serve basis anywhere that’s not already roped off specifically by UCW. Well over 90% of our guests will be pitching a tent, so the earlier you arrive, the better. The 10 small cabins are located to the left as soon as you enter the campground. There are nine 10×12 (two-person) cabins with 1 full-size bed, an a/c unit, and a picnic table and pit outside. The one12x16 cabin is a four-person cabin with 2 full-size beds and the same amenities. Neither of the cabin options has restrooms or showers directly inside, however, there are private restrooms and showers located next to the cabins for you to use. Cabin purchases include your general admission. When you pull into the campground, park against the back fence-line area. You will NOT be able to drive to your spot and unload this year, due to the number of campers. Cars that are not properly parked will be towed at the owner’s expense. When purchasing group tickets, you are responsible for listing your group names in the notes section of the purchase or emailing us within a week of purchase to list your ticket holders names. If not, they will be required to check-in at the same time as you for the event, as they will not be on our list. If they decide to show up at different times and are not accompanied by you, they will be turned away. Yes (but contact us first, additional charges will apply) Each guest staying in the RV must be registered at the regular ticket price. We have 30 and 50 camp sites with electricity and water supplied for every RV or 5th wheel pop-up camper. Again, an RV reservation is for the RV only; each individual must purchase a ticket. Should I bring my Grill? Absolutely! We may even give you some extra meat to cook! My friend paid a cheaper price…? Of course they did; they paid early. We’d make that friend drive for not telling you earlier, and don’t give them gas money! Our prices go up as it gets closer to the event; they will not go down. But seriously, stiff your friend on the gas money and call it even! Can I bring my generator? Can you pay the campsite directly for our event? No, we are in a private area with different wristbands. There’s really no need to call the campsite, even though people try it every year. When is the deadline, and does the price change? The deadline is a moving target, and yes the price will change closer to the event date. Pre-registration has traditionally filled up months in advance, forcing us to raise the registration fee or cut-off the registrations entirely. Based on our recent surveys, we have started selling wristbands for meal plans. The majority of our guest’s grill or cook on their own, so there’s no reason for us to charge them for food they haven’t been eating. This allows us to keep the cost of camp down and enjoyable for all. There will be food for purchase via the meal plan, front office, and by various vendors on site. To guarantee food, meal plans should be purchased ahead of time. Is there Vendor Space available? 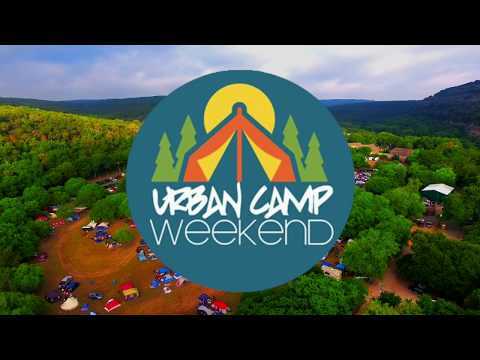 If someone you know (or you) would like to be a vendor at the largest camping event in the country, have them email info@urbaneventsglobal.com with their complete business information (social media pages and a little bit about the company is the bare minimum). THERE IS NO ADDITIONAL FEE TO BE A VENDOR FOR MINORITY-OWNED BUSINESSES. We have limited space available, so the earlier the better. And a positive attitude, because we are family! This list is a suggested list only. Please bring items as you see fit. What if I just want to attend the events but not stay at the campground? 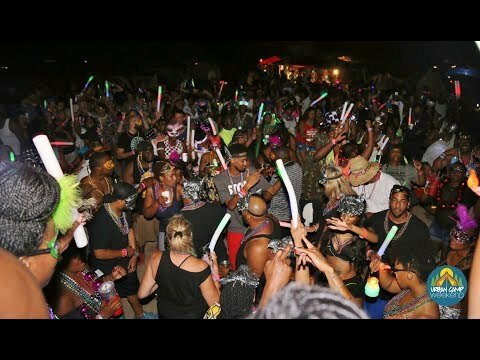 We are charged for every human being that steps foot on the campground; purchase a general admission ticket, and you can choose to stay or come and go as you please throughout the weekend. Yes, a lot of our guests arrive on Wednesday and Thursday. The campground charges $10 for early arrival, and you can pay them directly. If you have a cabin, your keys won’t be available until Friday morning. All packages are non-refundable due to contractual obligations unless travel insurance is purchased. Travel Insurance is available for an additional cost per person. Refunds will not be provided due to a roommate’s cancellation. Trips can be transferred to another person for the existing trip only (request via email). It is your responsibility to find a replacement for your package and provide replacement information via email. We offer flexible partial payments as a courtesy and convenience at a 15% automatic charge to the plan. To purchase Travel Insurance, click here!